SpellingCity simply put is the best site around for all Vocabulary and Spelling needs. It even has an educational portal that allows for student tracking and educators to add assignments/word lists to their students. Also, there is a free mobile (iOS, Android, Kindle) that interacts w/ the web portal to allow mobile learning for students. 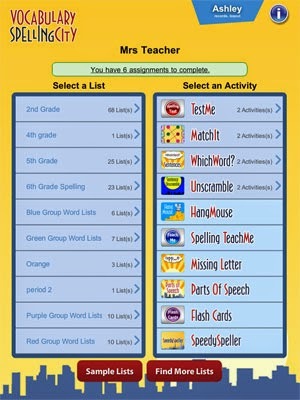 SC also has a wide variety of resources and videos, but allows teachers to create their own customized word lists and integrate them into educational games for their students.